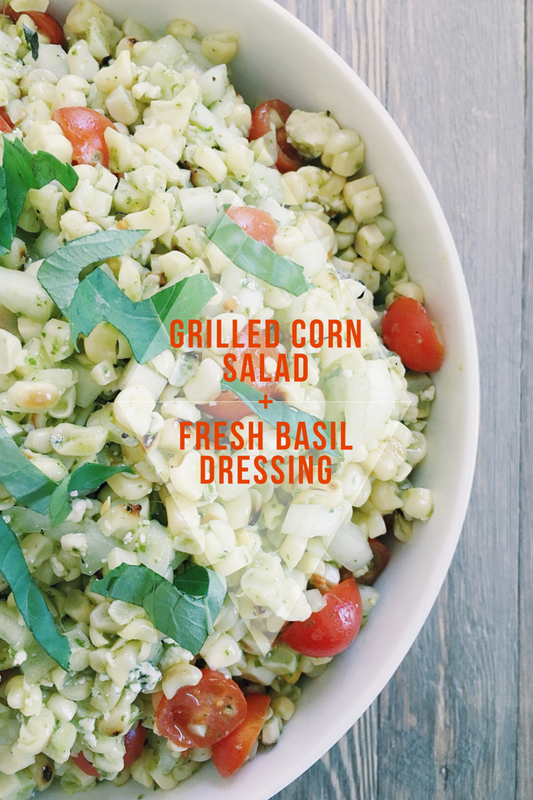 A few summer’s ago my friend Kate shared this Bobby Flay recipe with me for Grilled Corn Salad with Fresh Basil Dressing, and I am so excited to finally share it on here! I can’t say enough good things about this recipe, I could eat it every day which basically happens for a full week when you make it because it makes a TON. It never gets old, we make it all the time especially this time of year with all of the fresh corn, tomatoes and basil. I even plucked all the leaves off my tiny basil plant to make it one night and I felt a little bad for my plant because it was basically bare once I got what I needed from it. 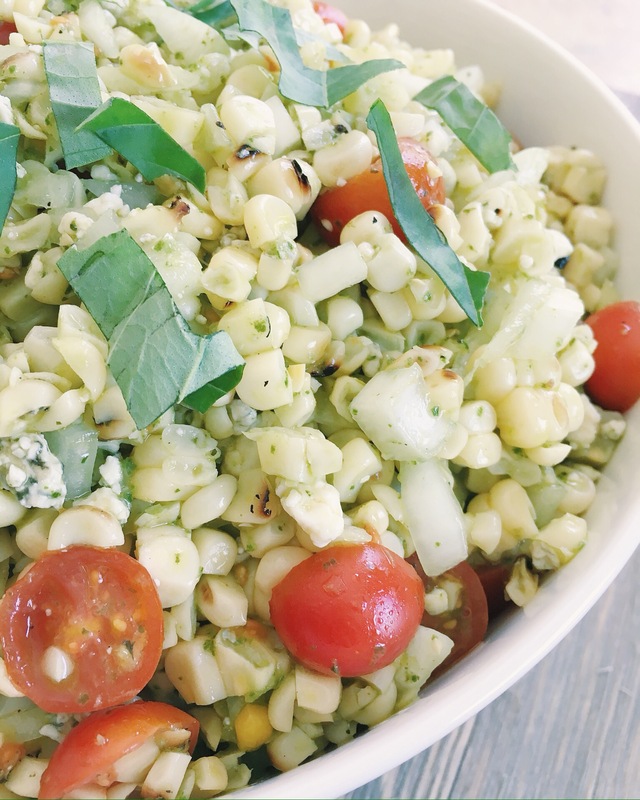 This salad has a crunch from the sweet onion, and the creamy blue cheese adds the perfect saltiness, with a sweet basil vinaigrette that you blend up in the food processor. 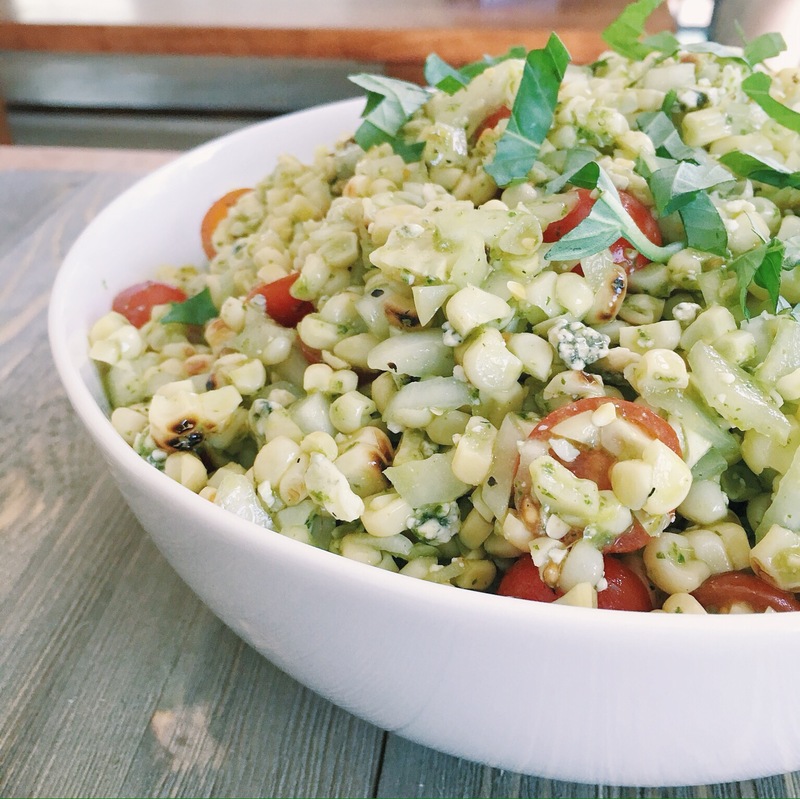 One of our absolute favorite meals is this corn salad, plus a big juicy grilled tri-tip (I hope to share Eric’s recipe for that soon!) and maybe some green beans or grilled asparagus to go alongside. 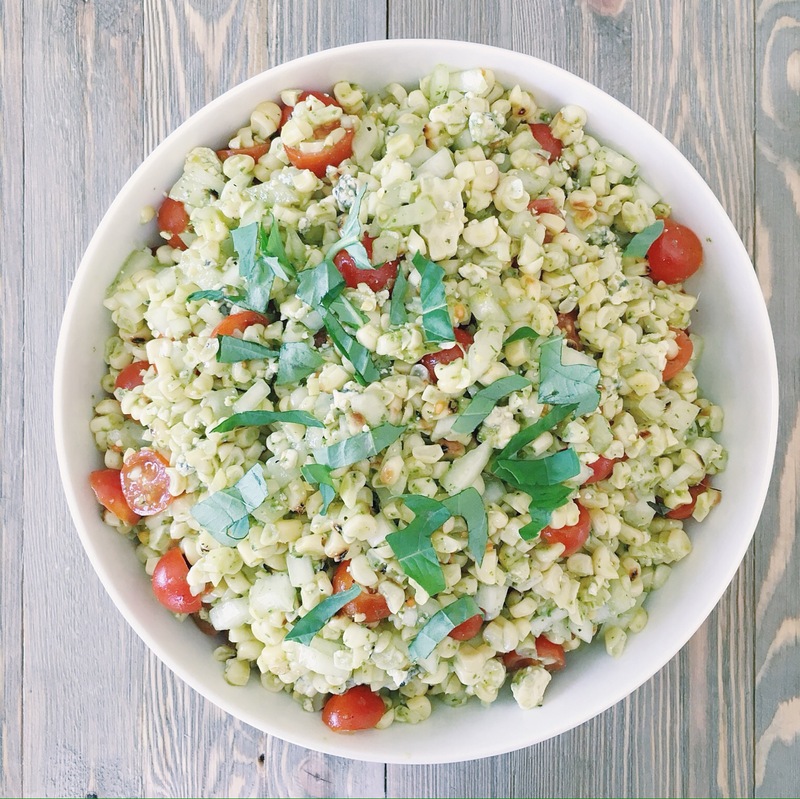 This is the perfect salad to bring to a potluck or to serve at a bbq, all your friends will be asking you for the recipe! Grilled corn for days! 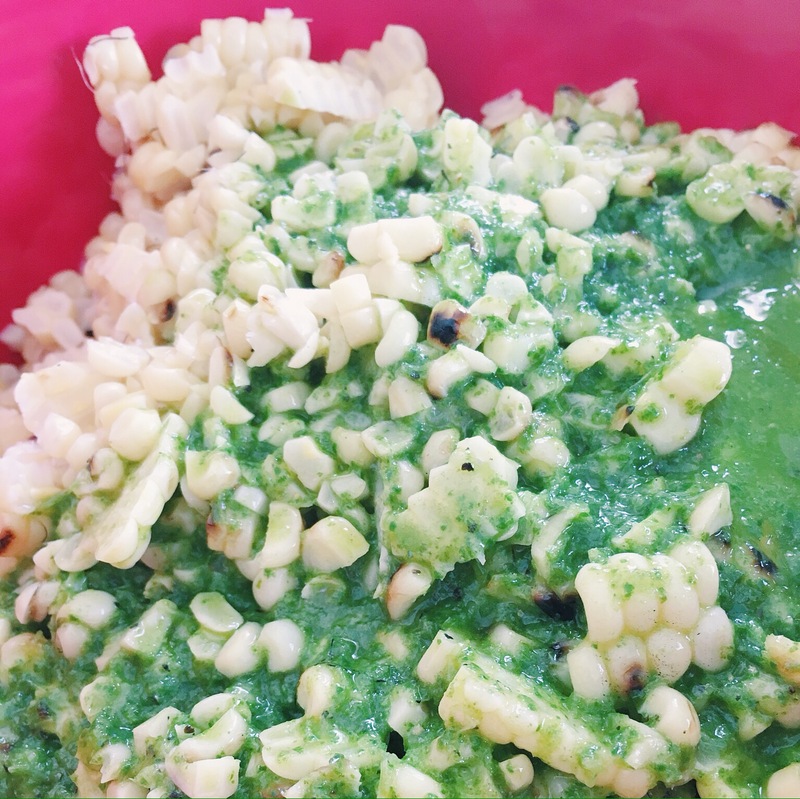 Bright green fresh basil dressing gets mixed in while the corn is slightly warm. I’ve found that helps the flavors soak into the corn salad mixture really well and quickly. All mixed together with tomatoes, blue cheese, sweet onion, and topped with more fresh basil. Blend all dressing ingredients together in a food processor or blender until smooth. Cover and refrigerate until ready to mix into salad. 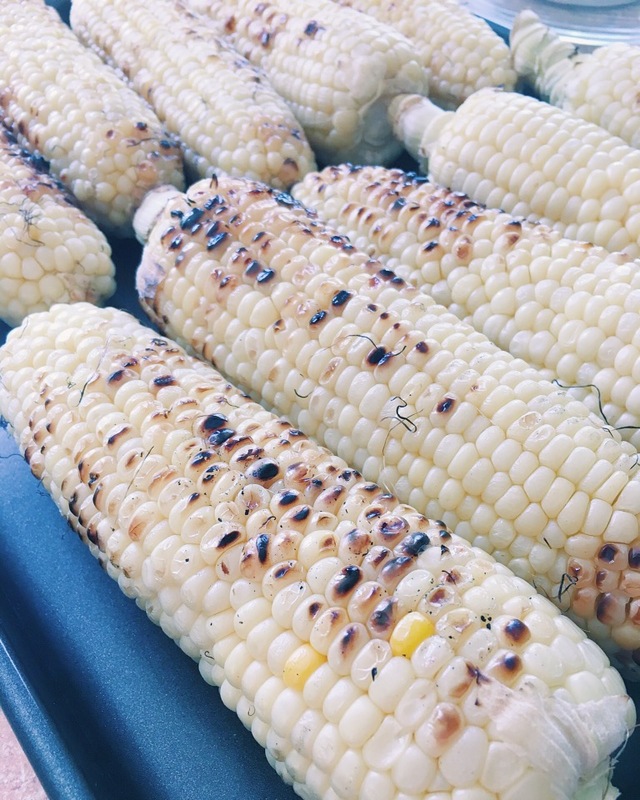 Remove husks from the corn and grill over medium heat until just cooked and has grill marks. 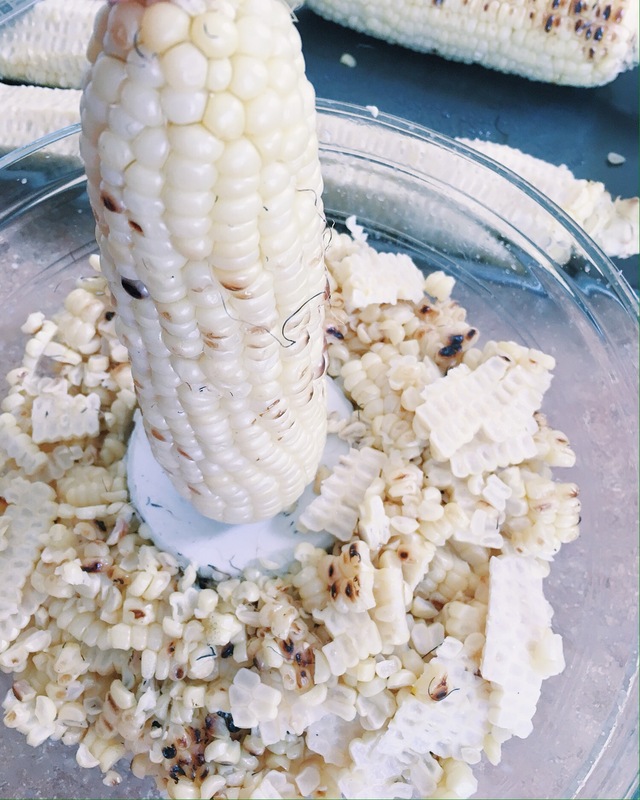 Remove from grill and using a sharp knife remove the kernels from the cob into a large bowl. While the corn is still warm, combine the corn, onion, tomatoes in the bowl. 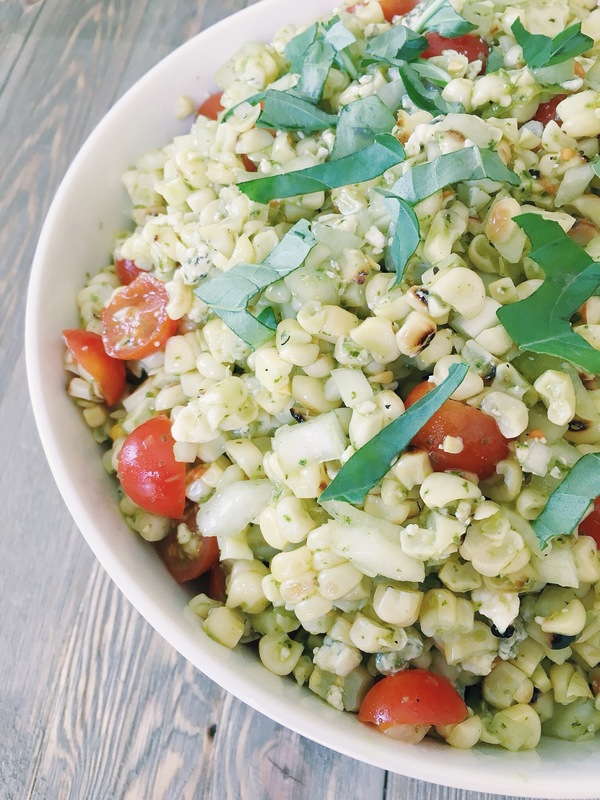 Pour the dressing over the corn salad mixture and mix until everything is evenly coated. Cover and refrigerate. When the salad has cooled mix in the blue cheese and top with fresh basil for garnish. Serve chilled or at room temp.